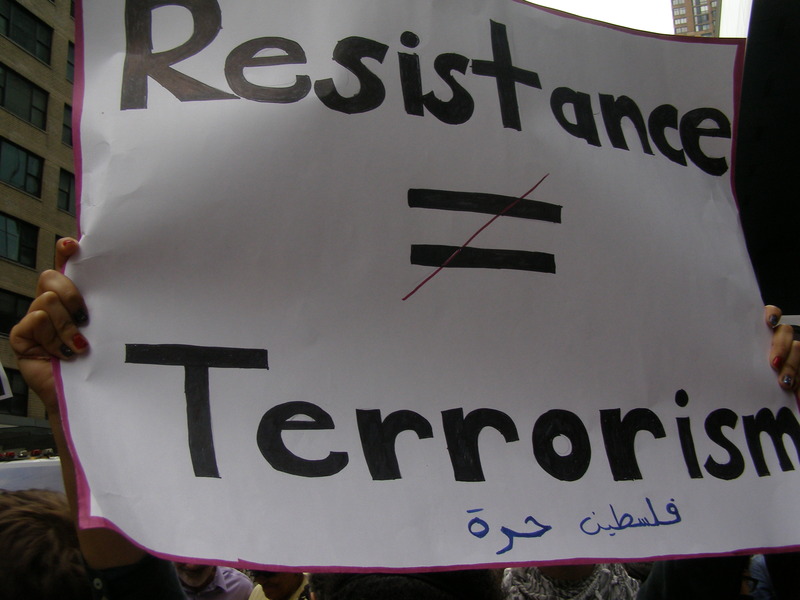 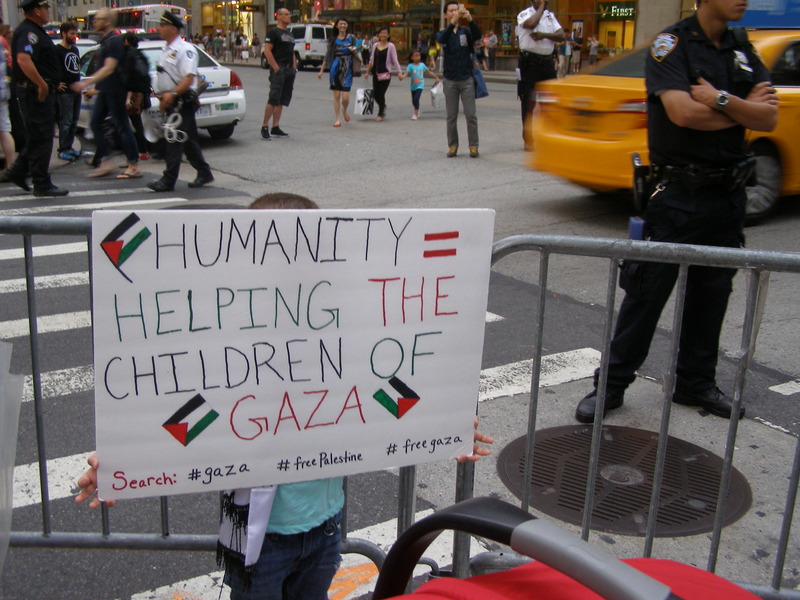 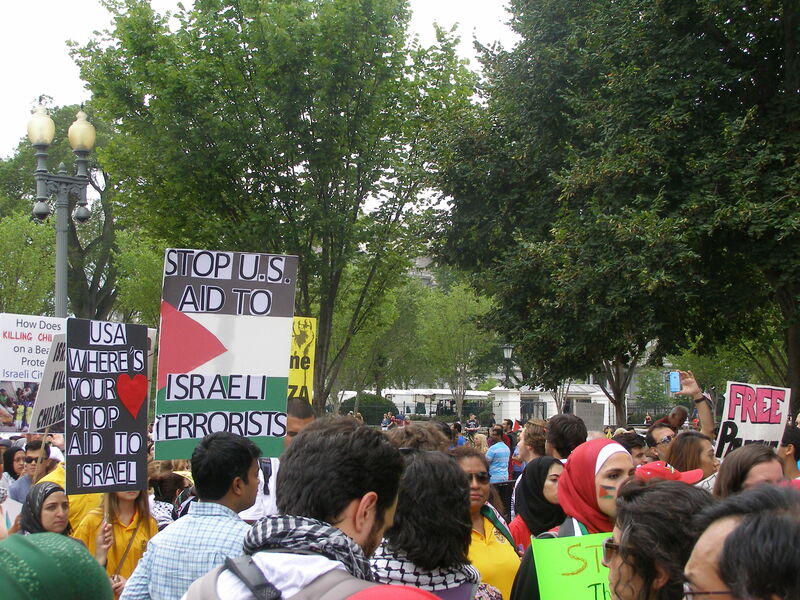 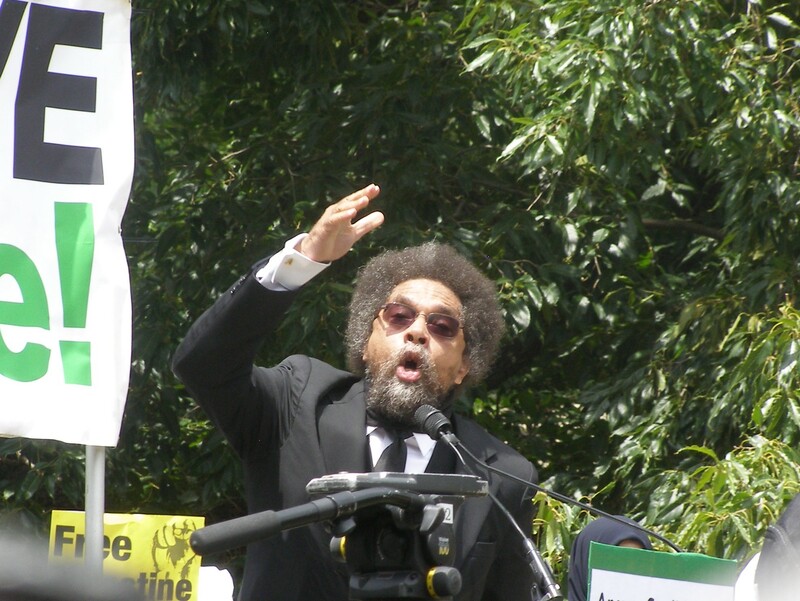 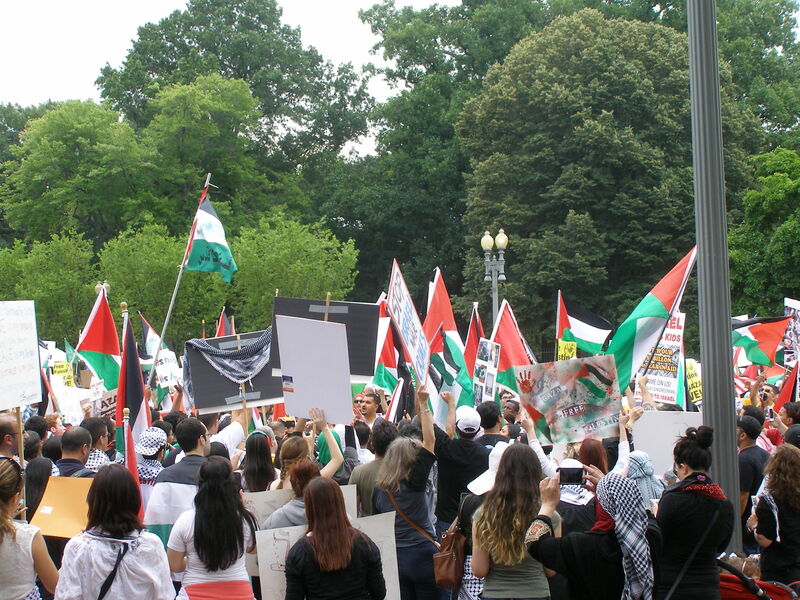 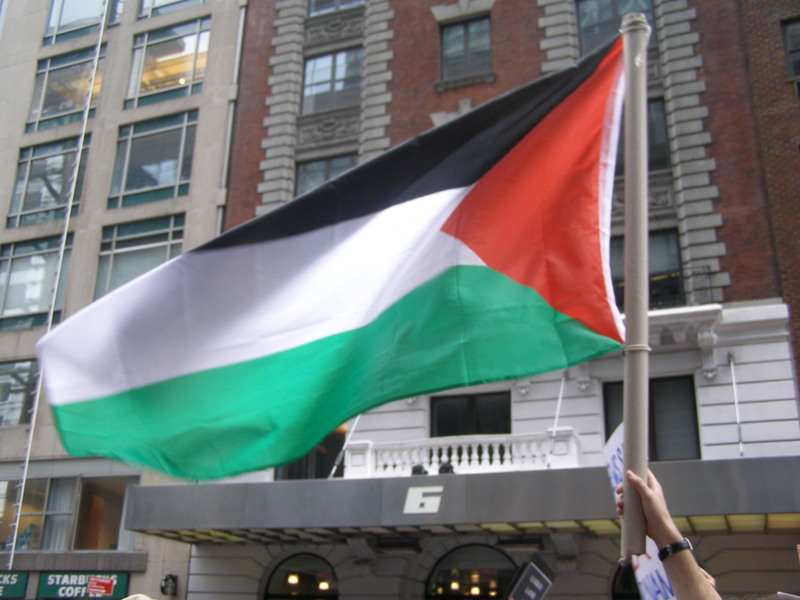 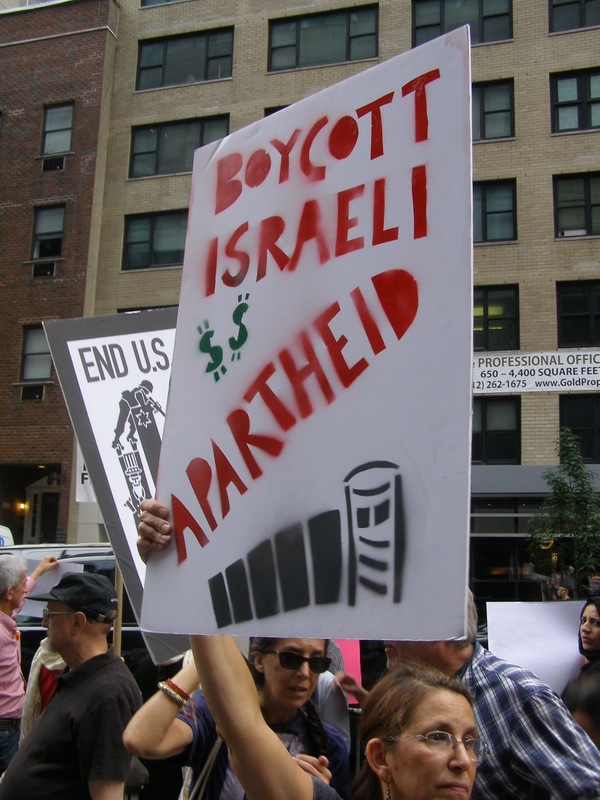 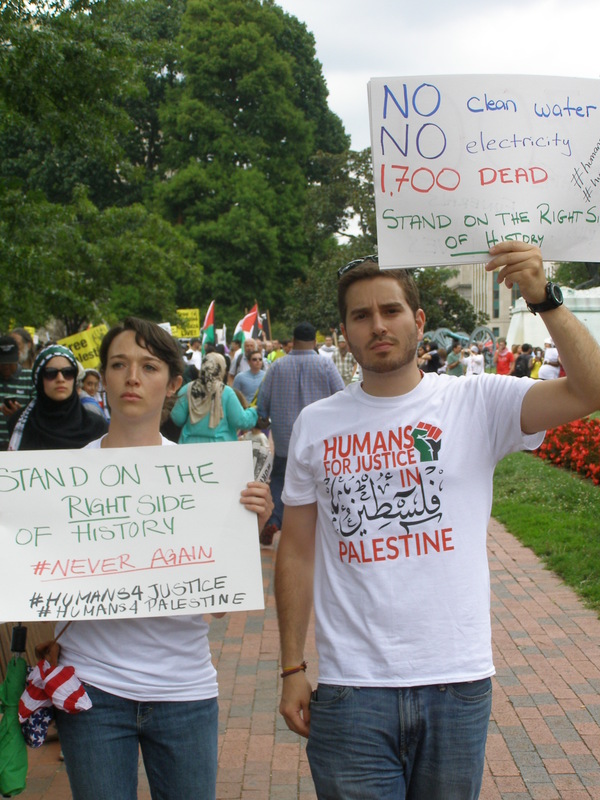 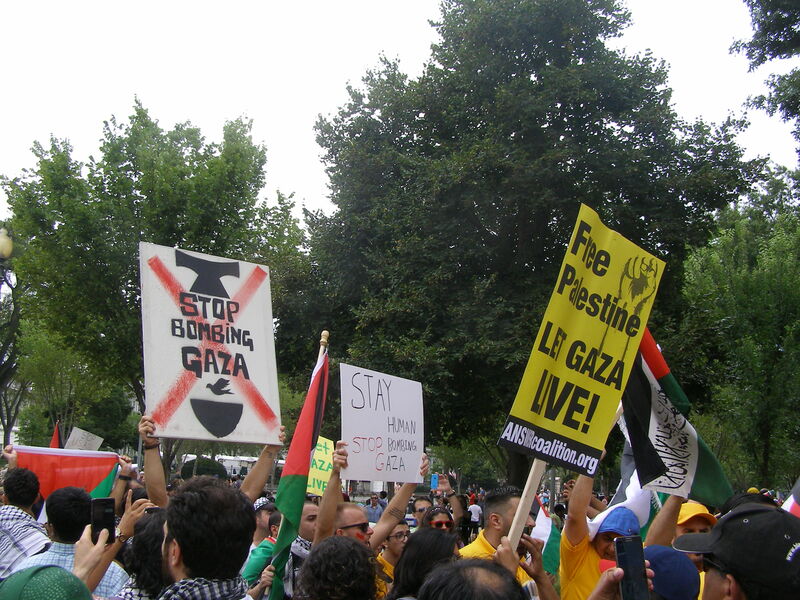 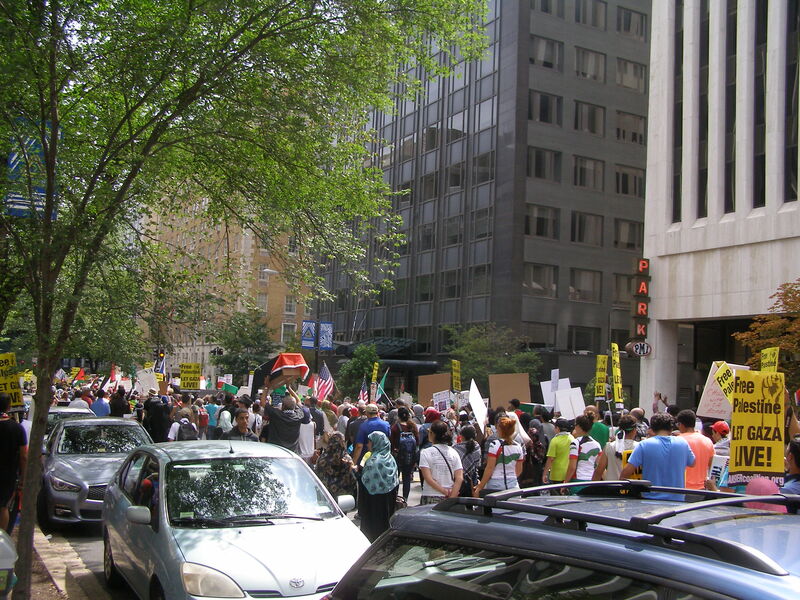 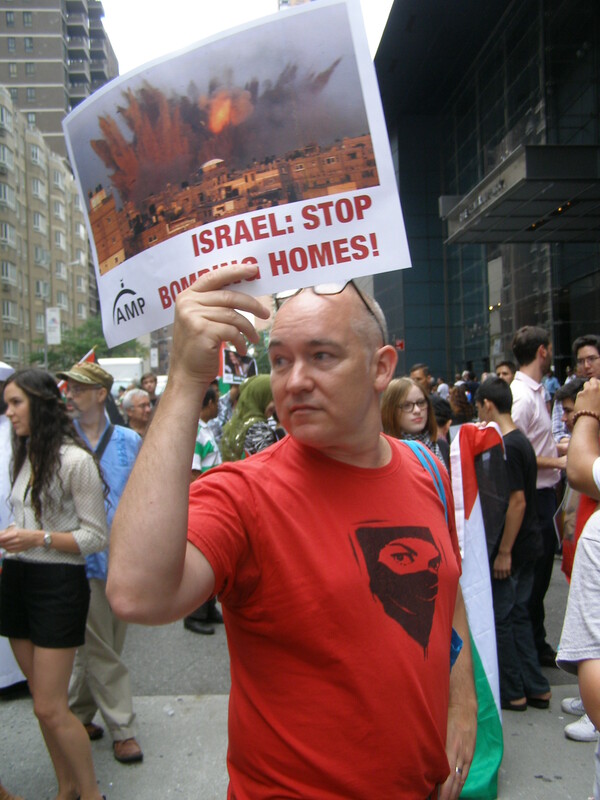 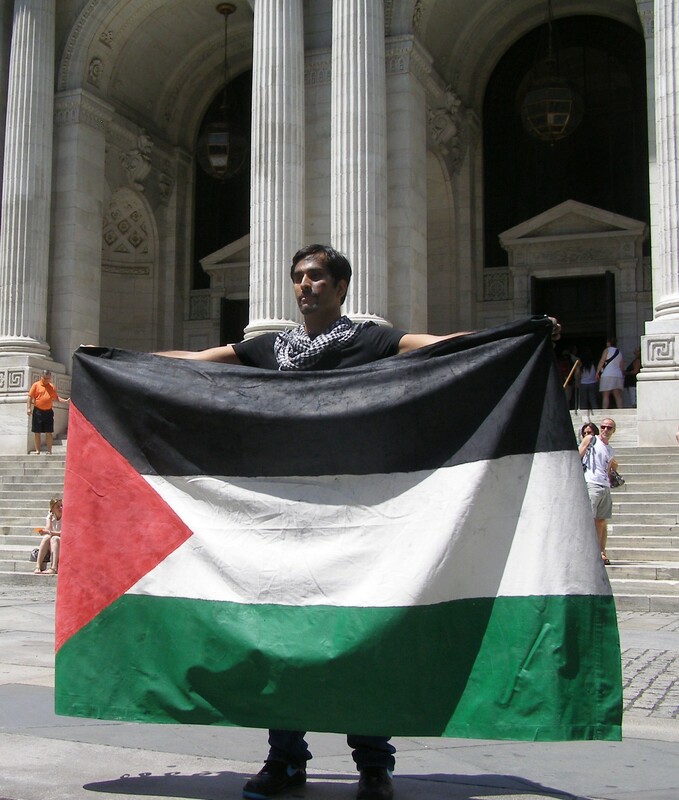 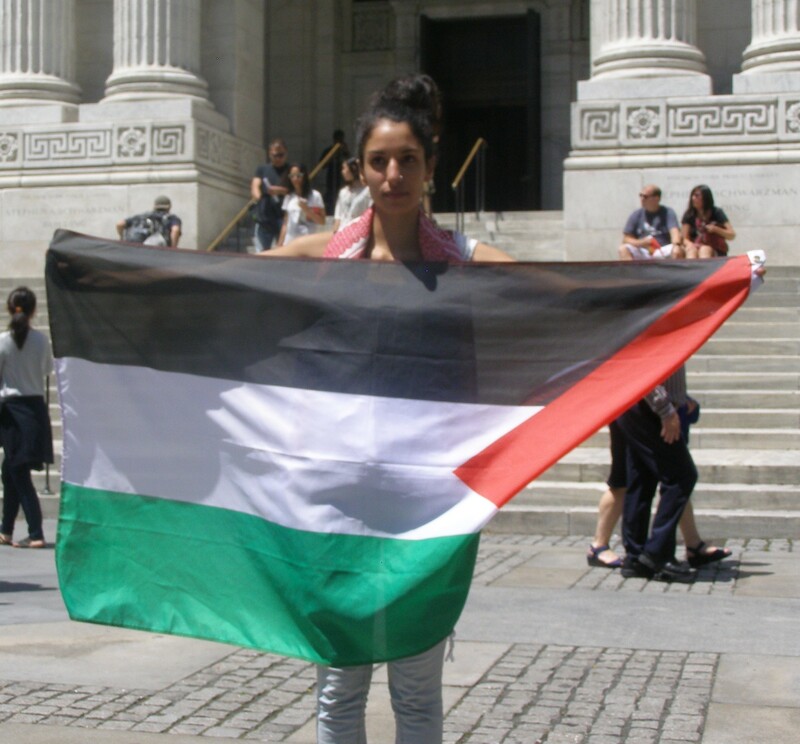 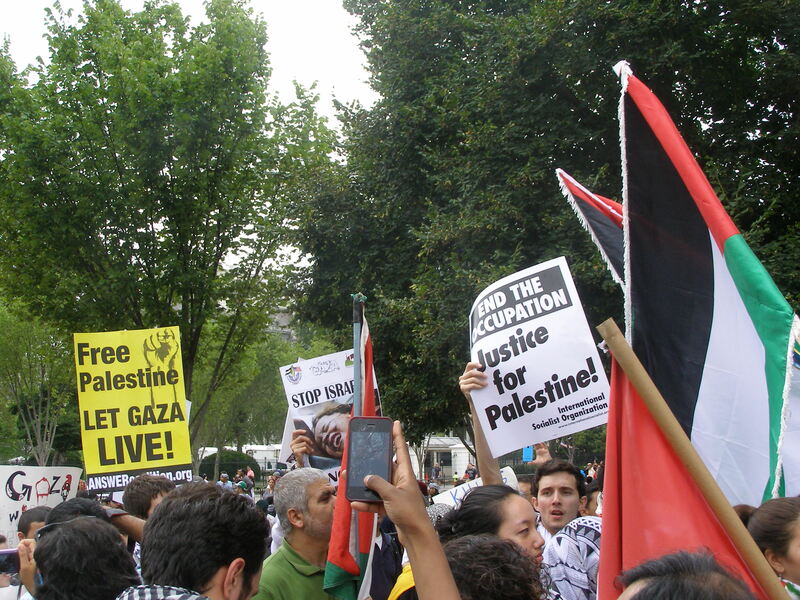 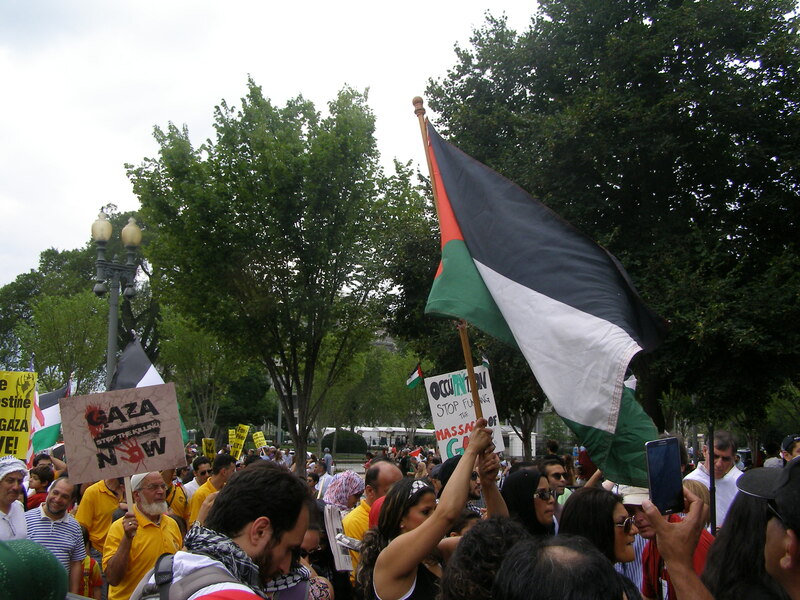 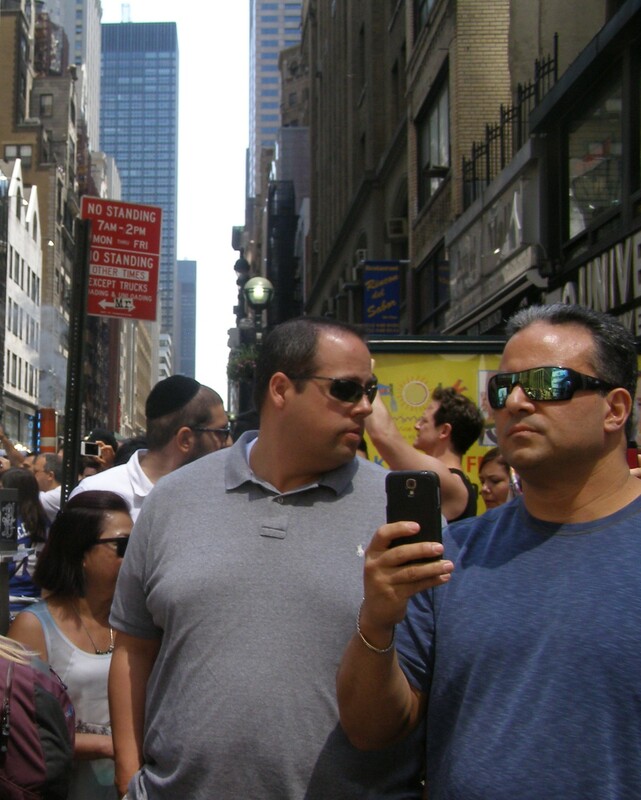 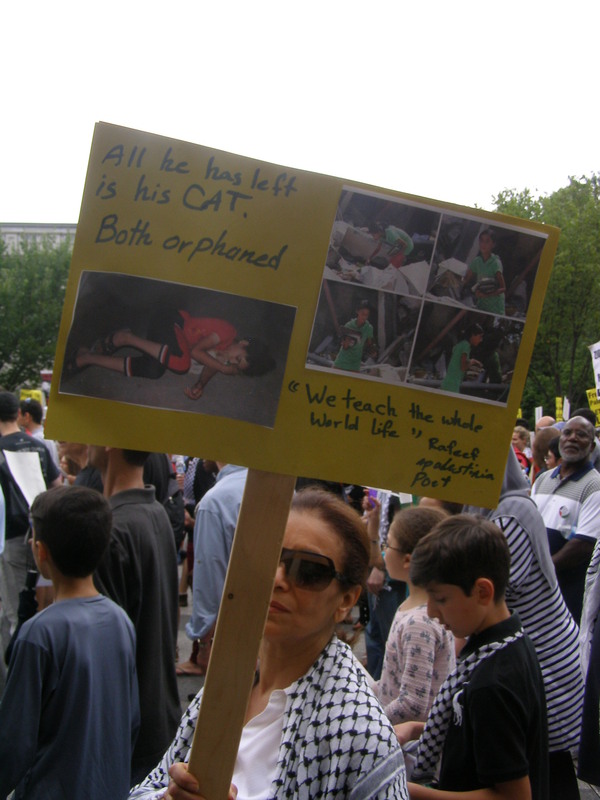 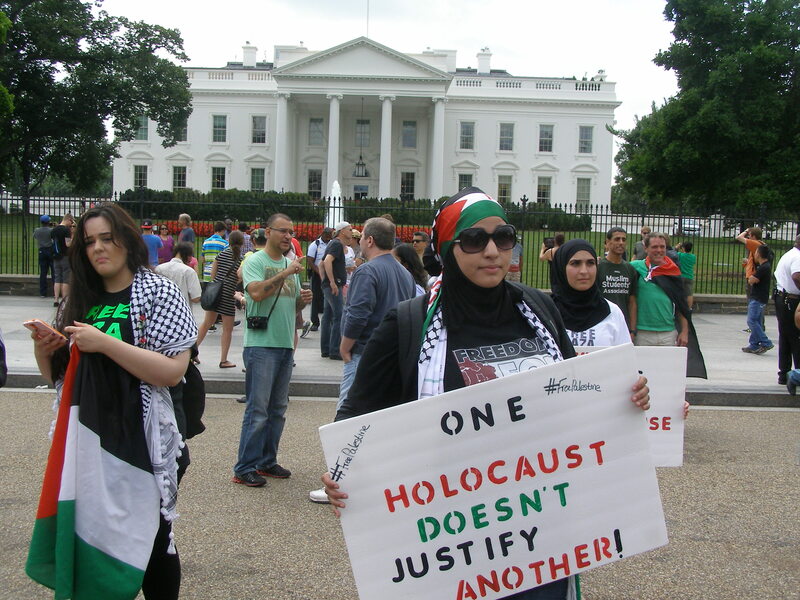 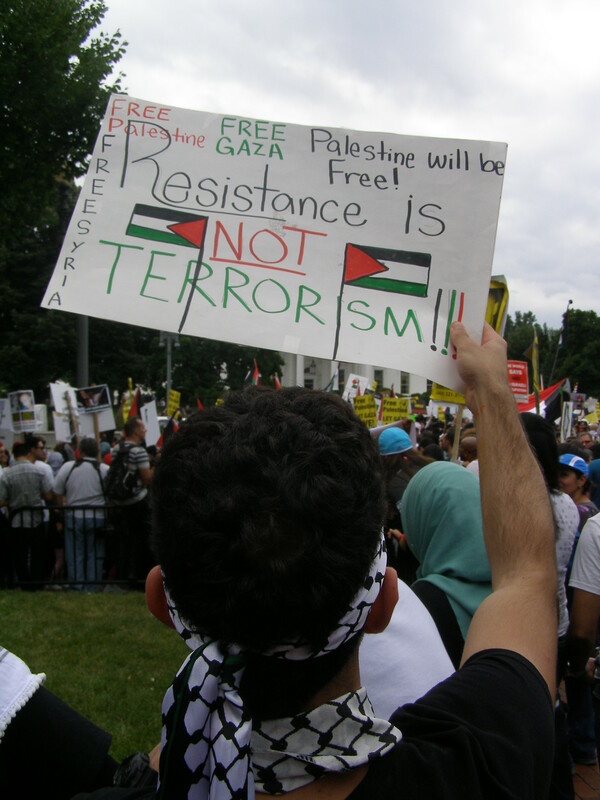 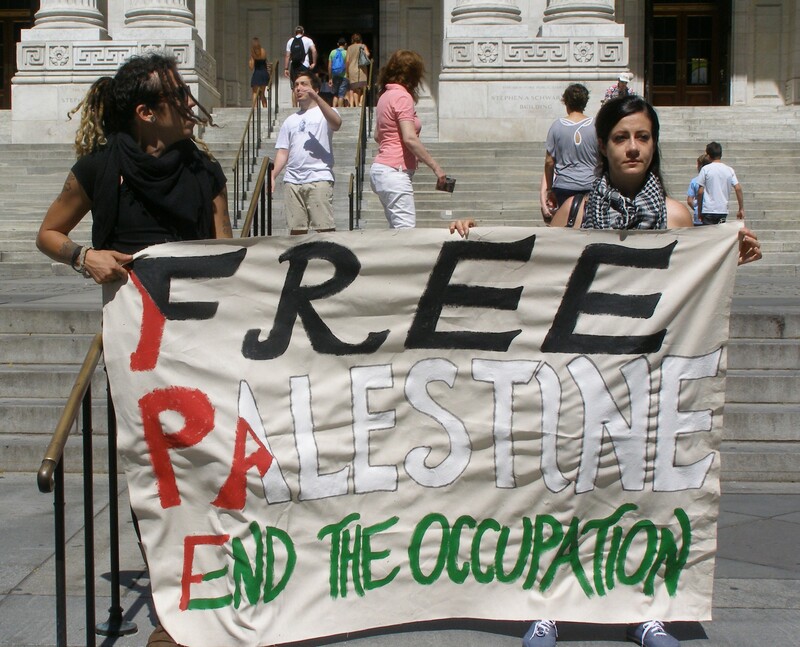 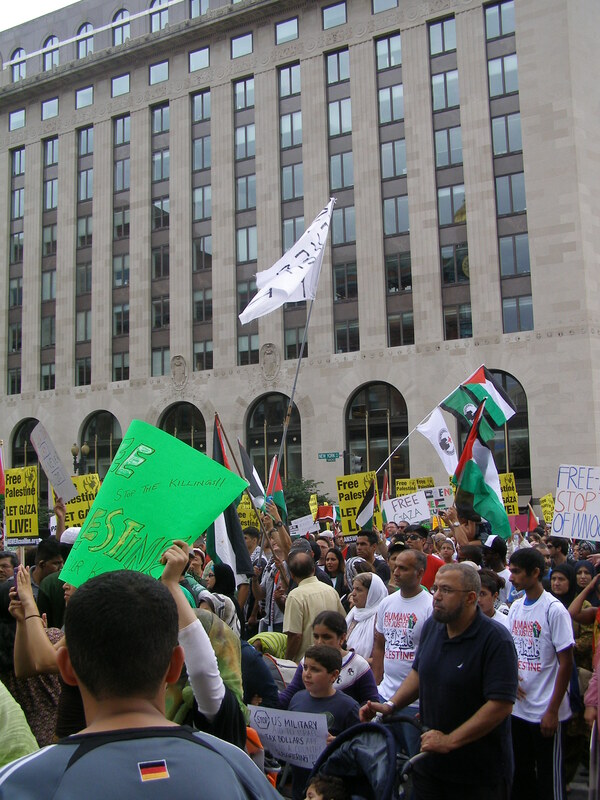 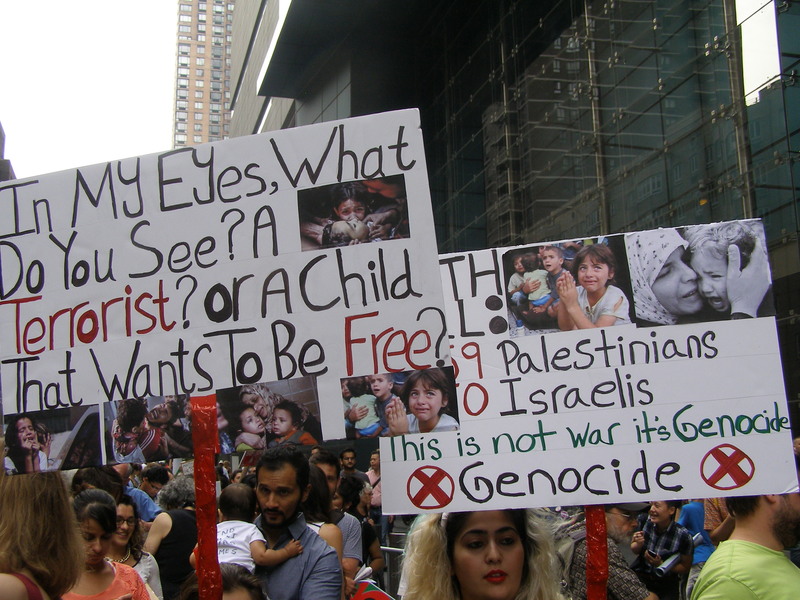 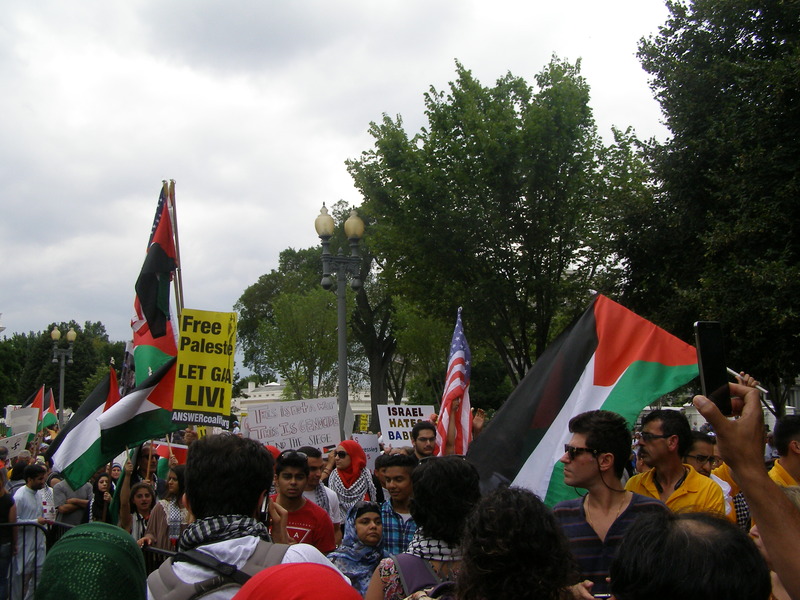 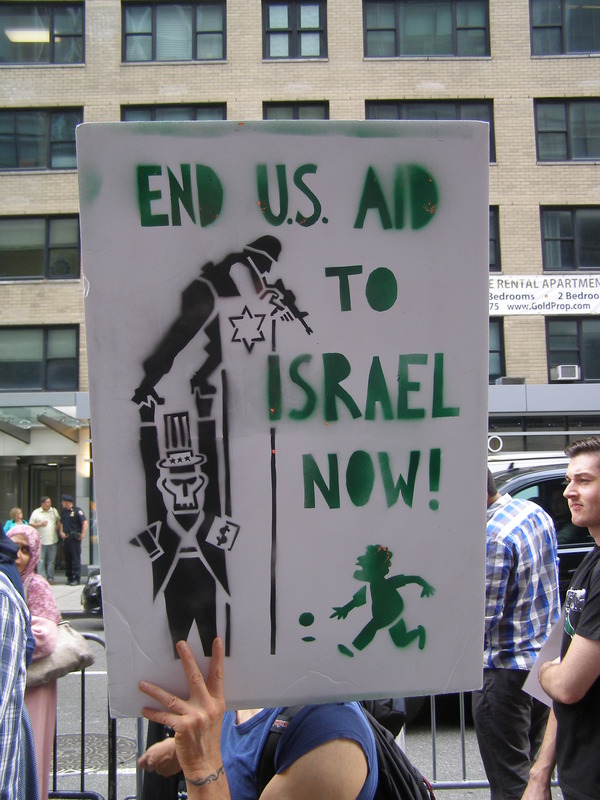 Photos from Mass Rally in New York for Gaza and National March on the White House in D.C. 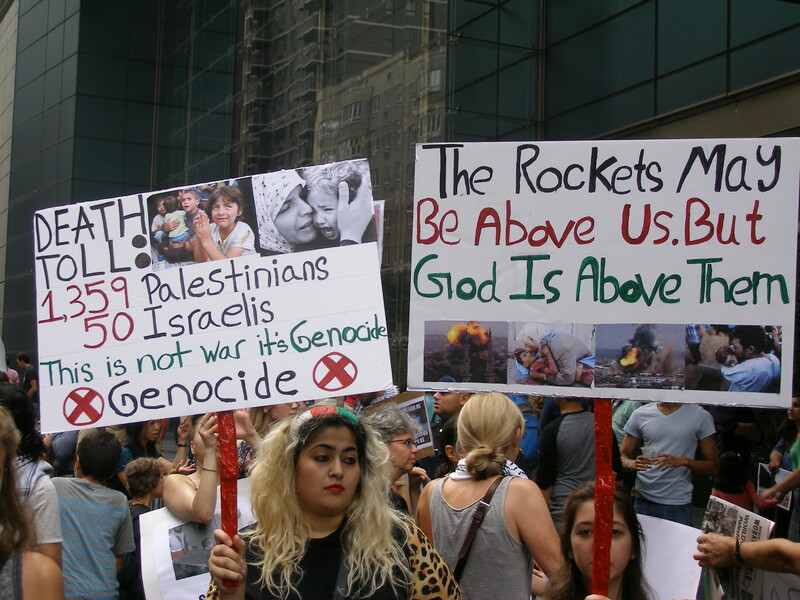 These are photos from two events made in solidarity with the people of Occupied Palestine this weekend: the Mass Rally to Stand Up with Gaza Against Israeli Crimes in New York City and the National March on the White House in Washington, D.C. 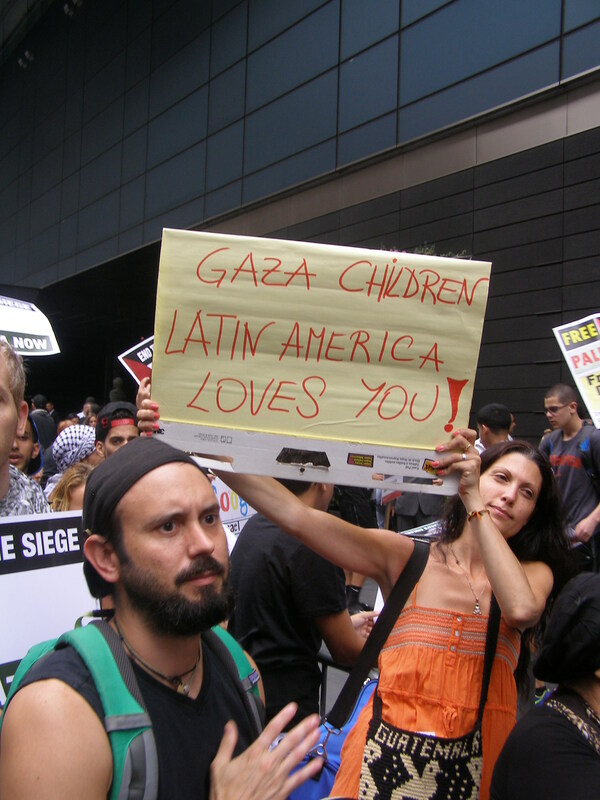 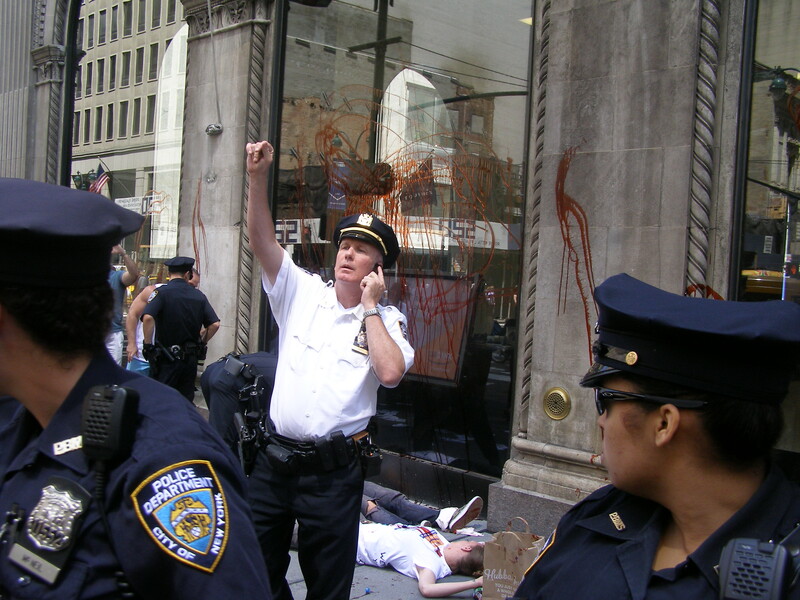 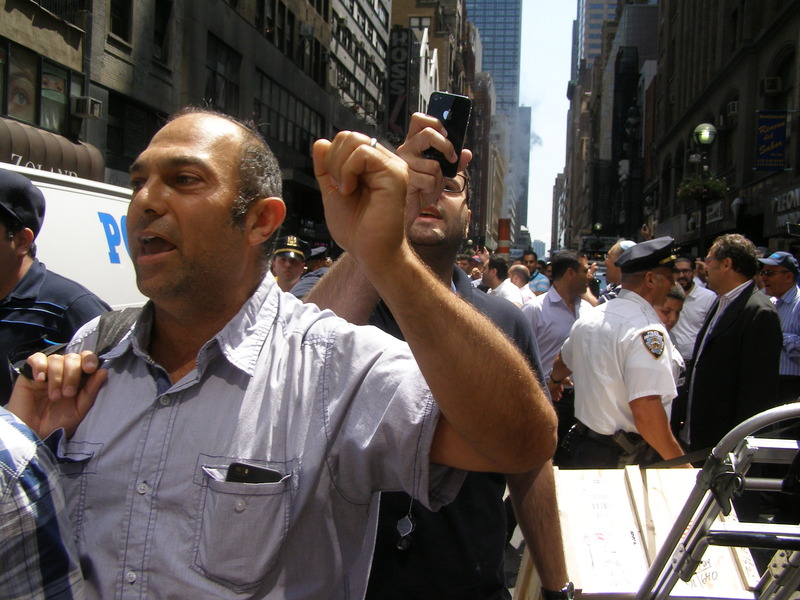 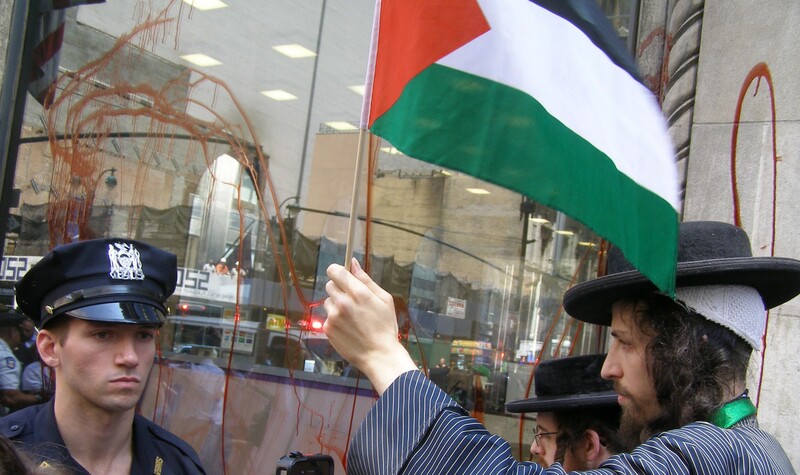 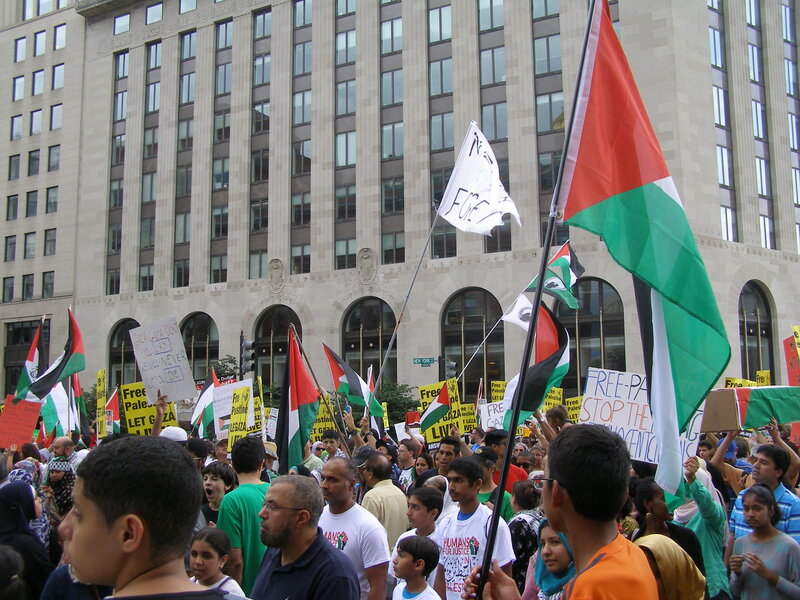 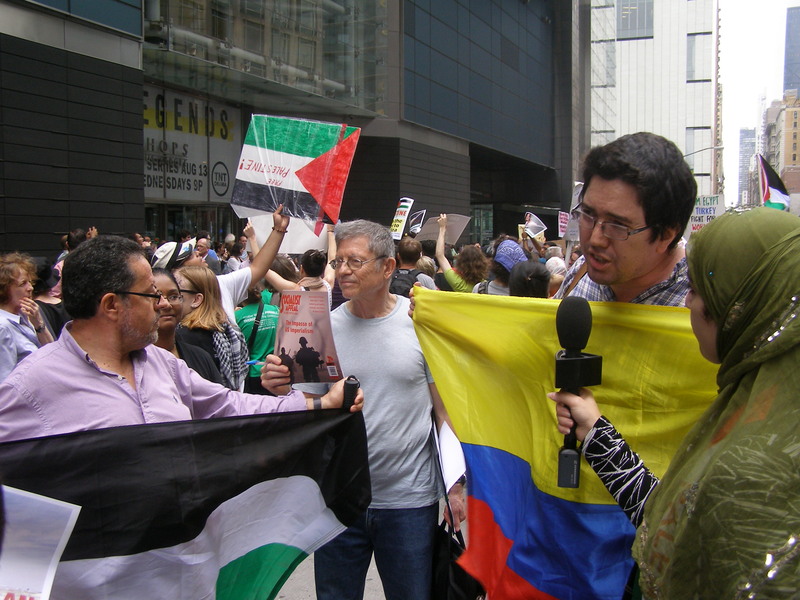 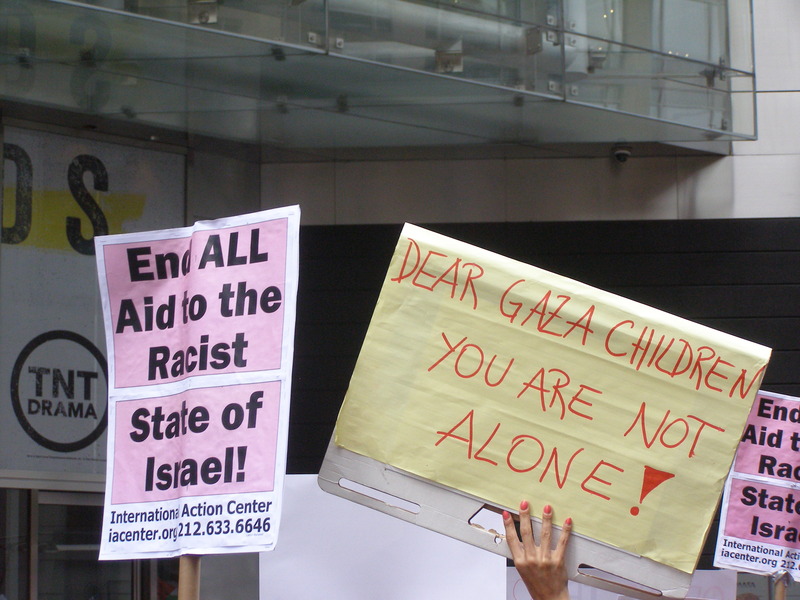 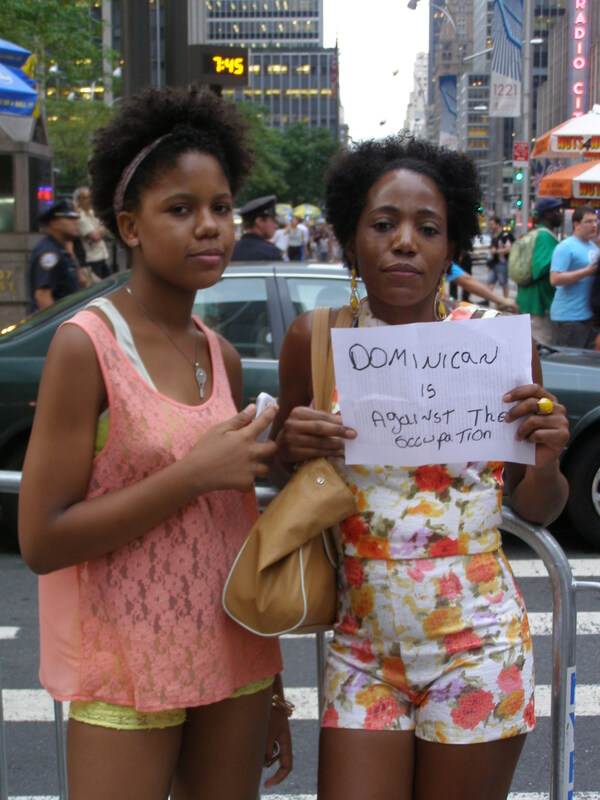 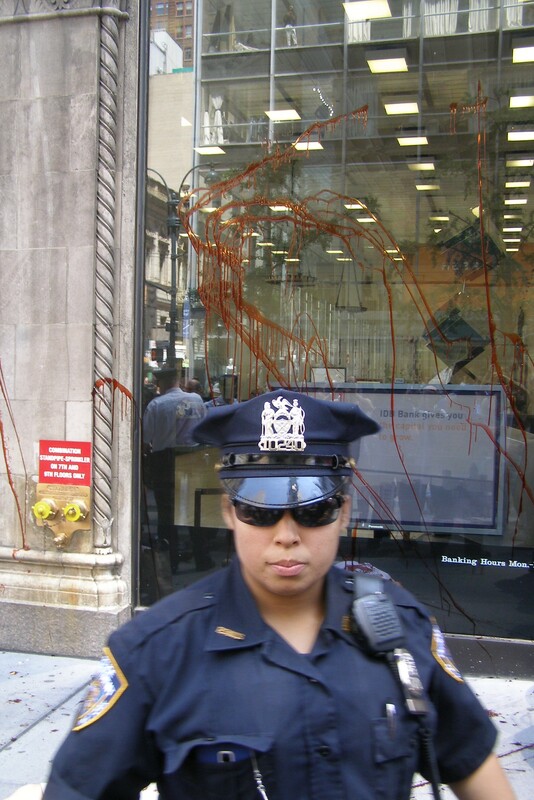 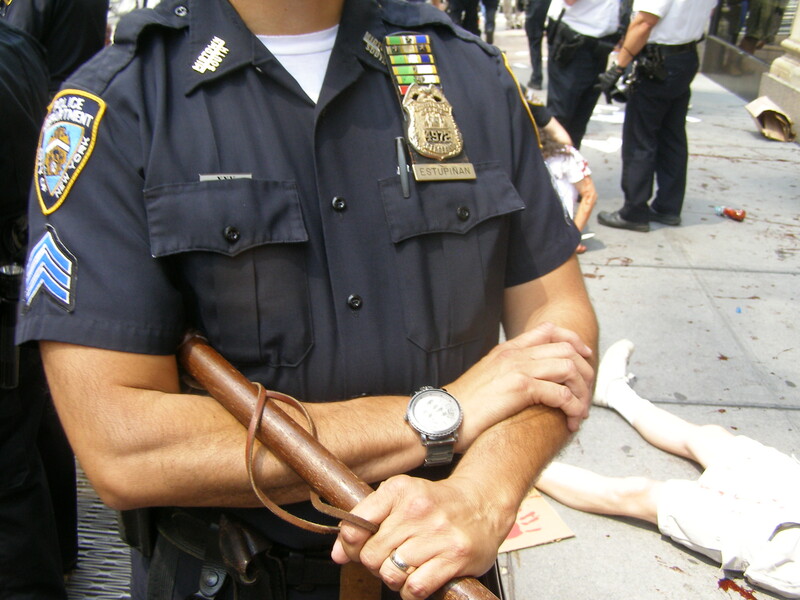 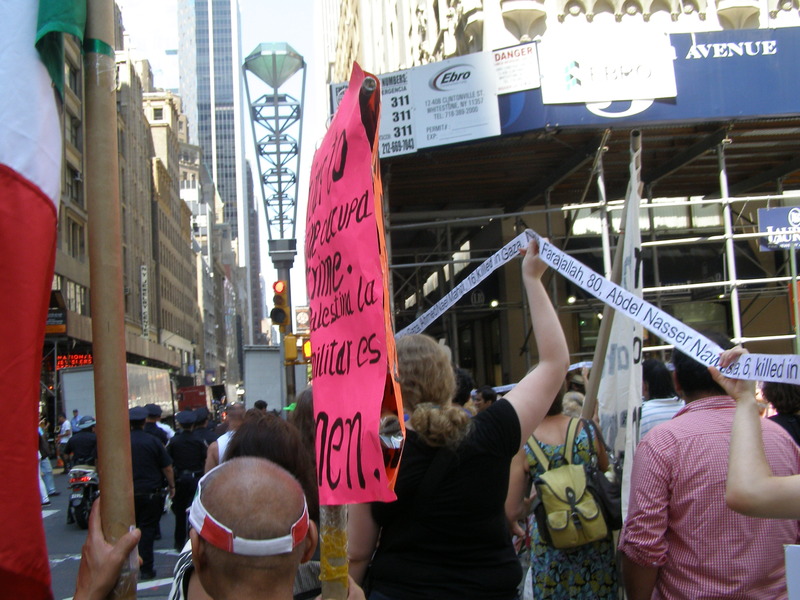 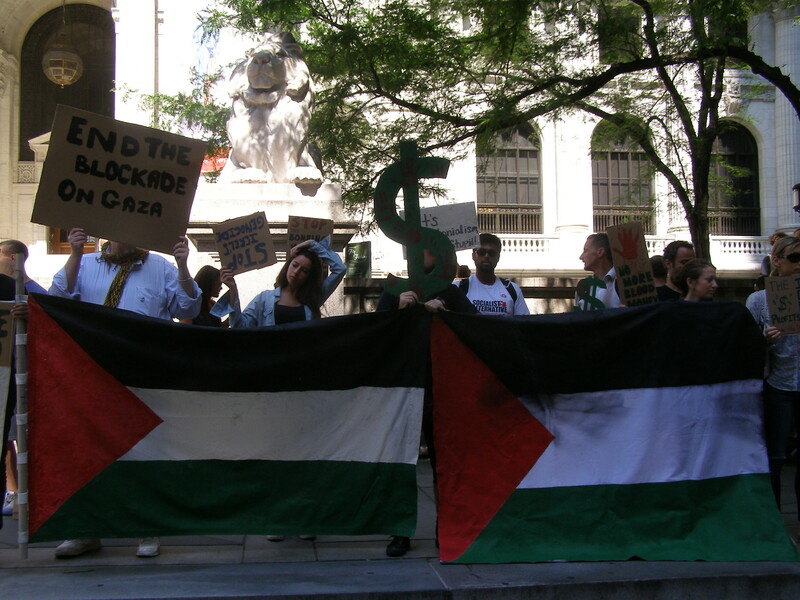 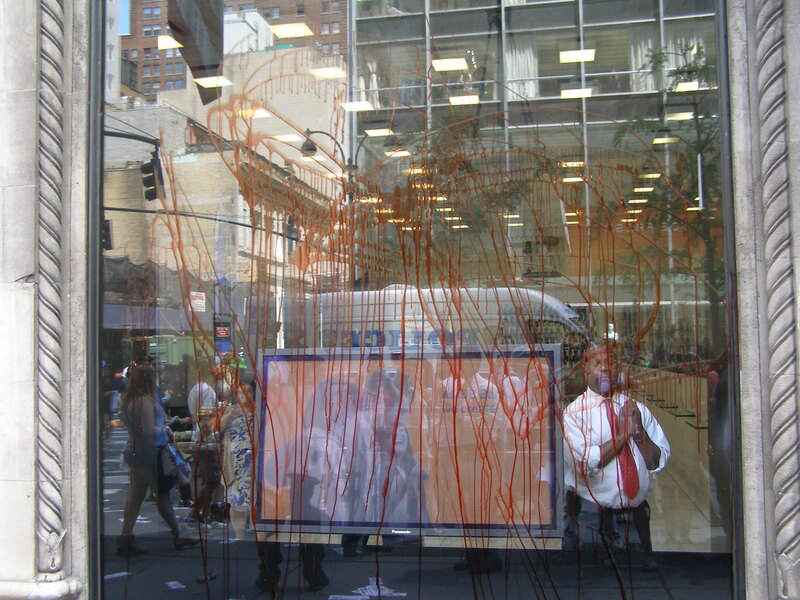 The former event, held on Friday 1 August, began at Columbus Circle in Manhattan, where Palestine-solidarity protestors outnumbered their Zionist counterparts by several dozen orders of magnitude, and proceeded to march through midtown Manhattan, including Times Square, to end at FOX News in protest of this corporation’s eminently pro-Israeli media coverage of the present pogrom and the conflict in general. 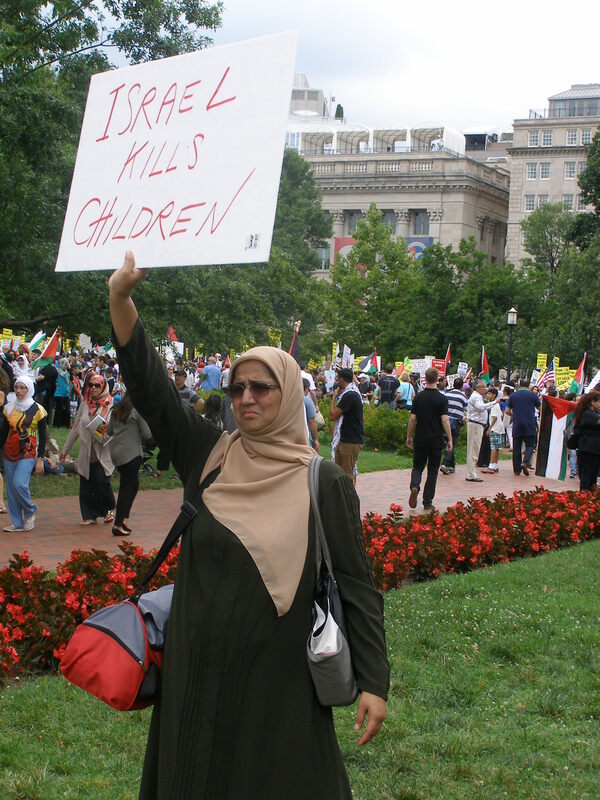 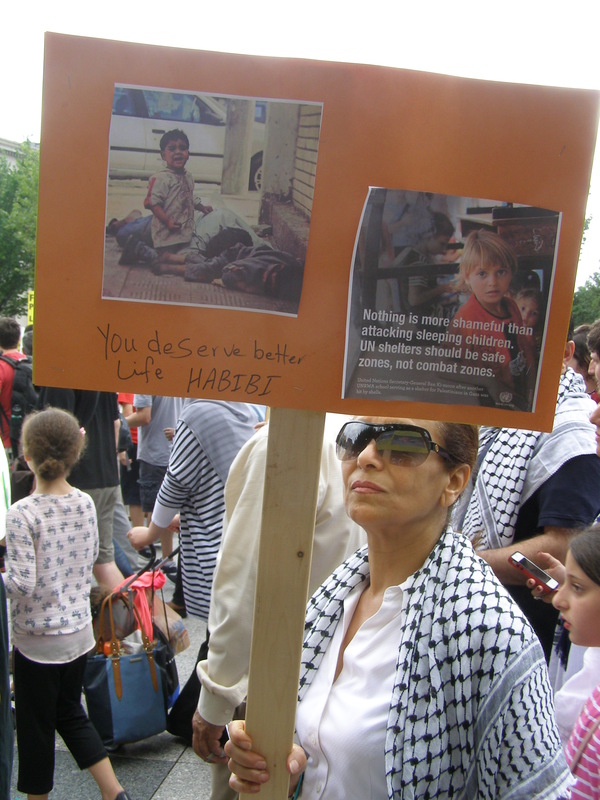 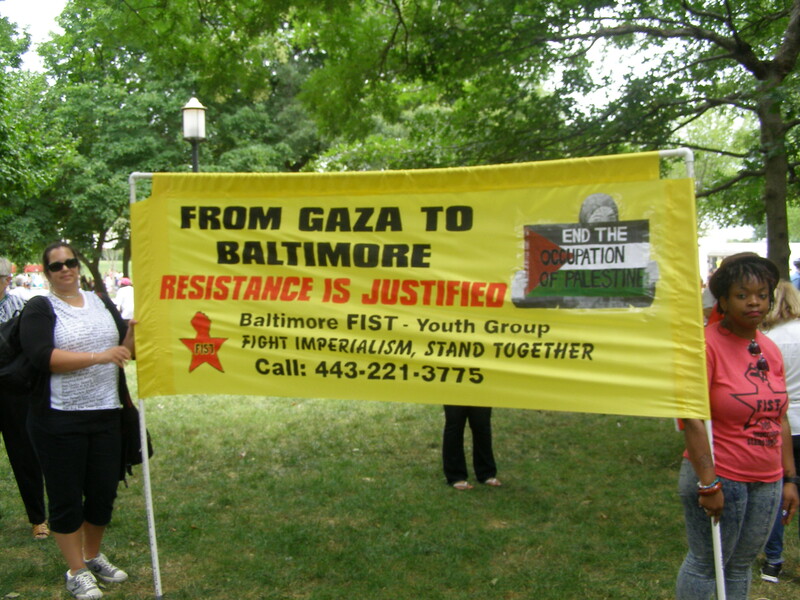 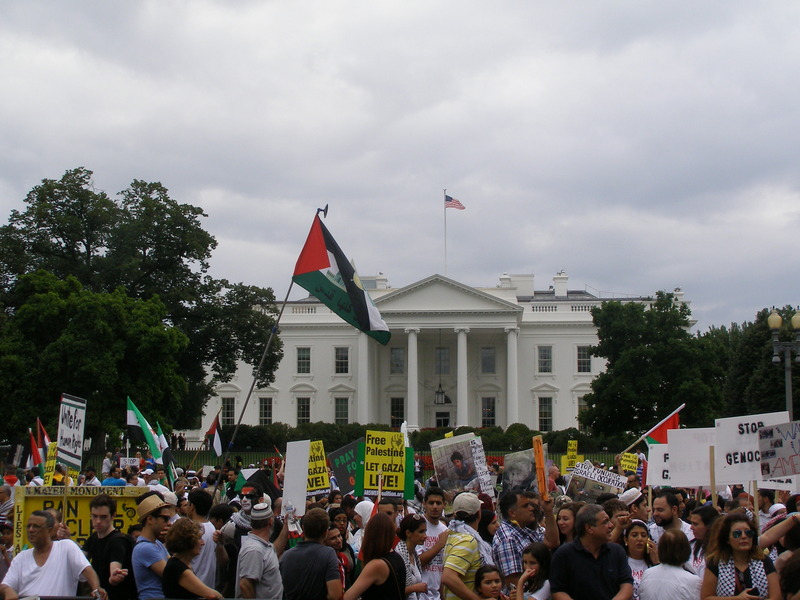 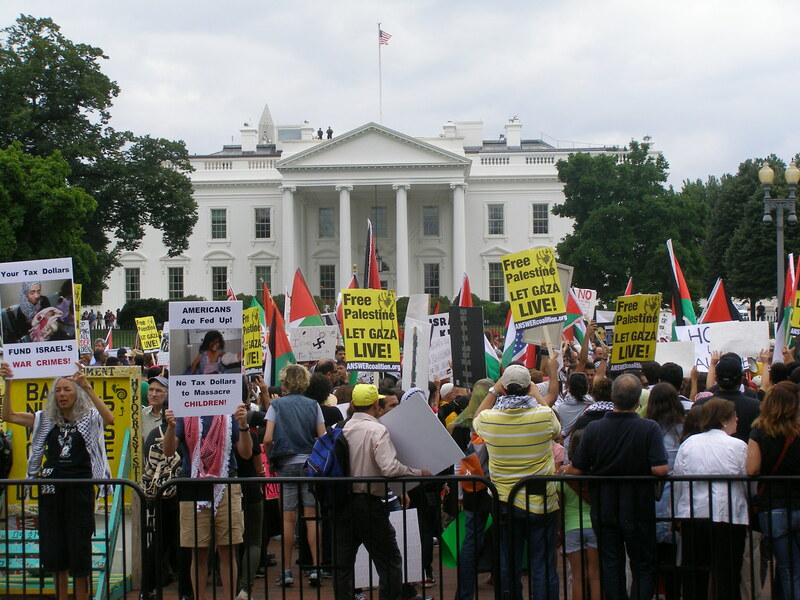 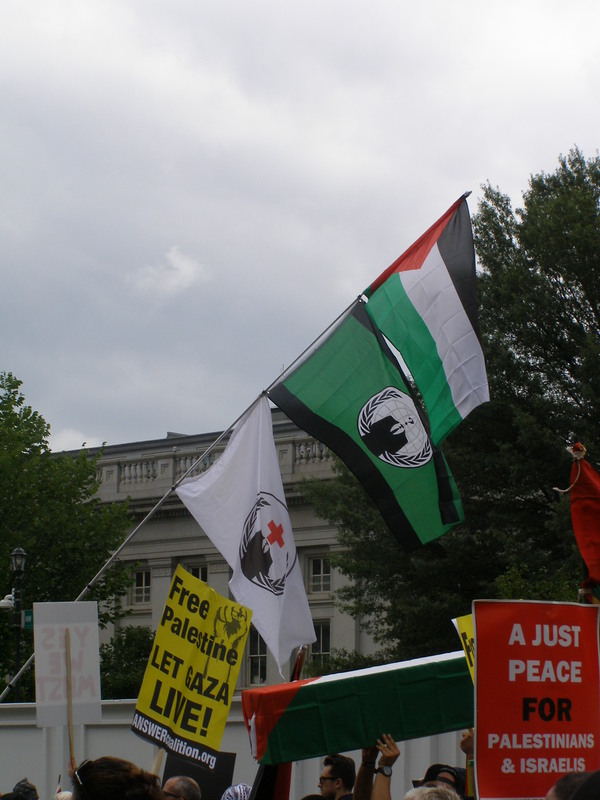 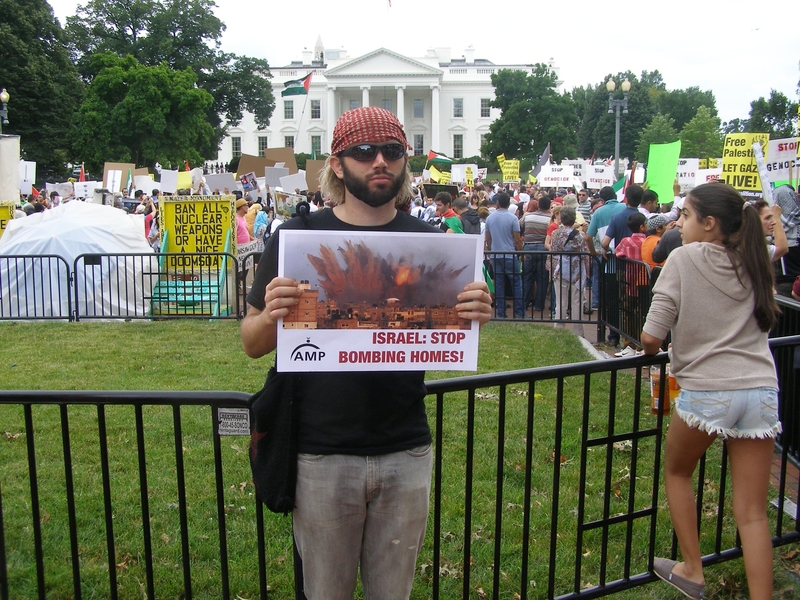 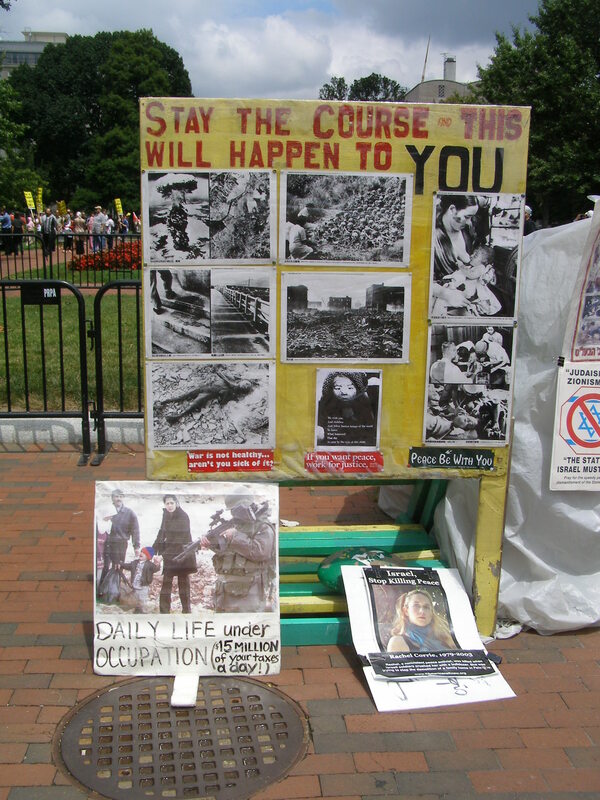 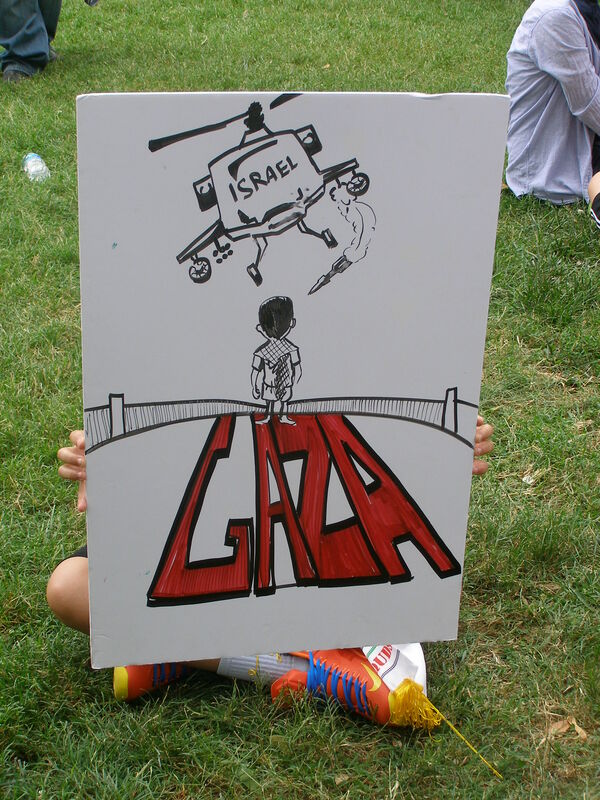 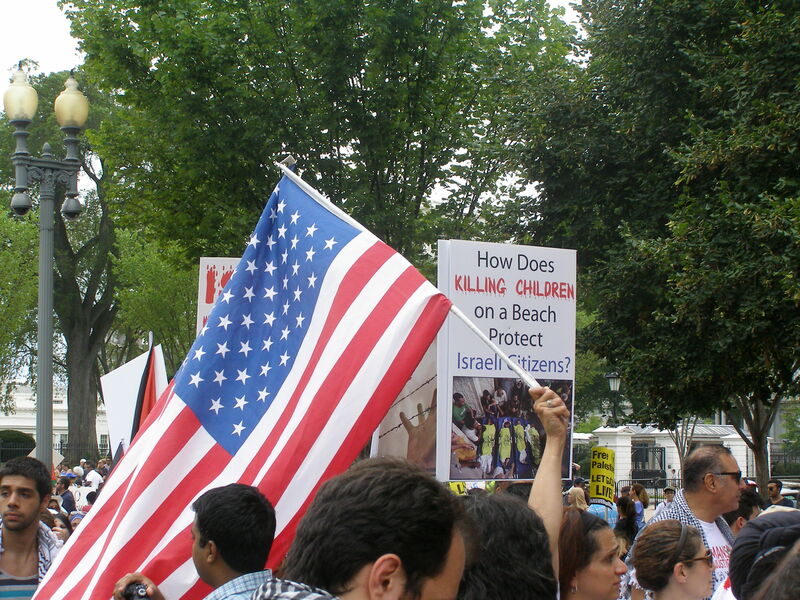 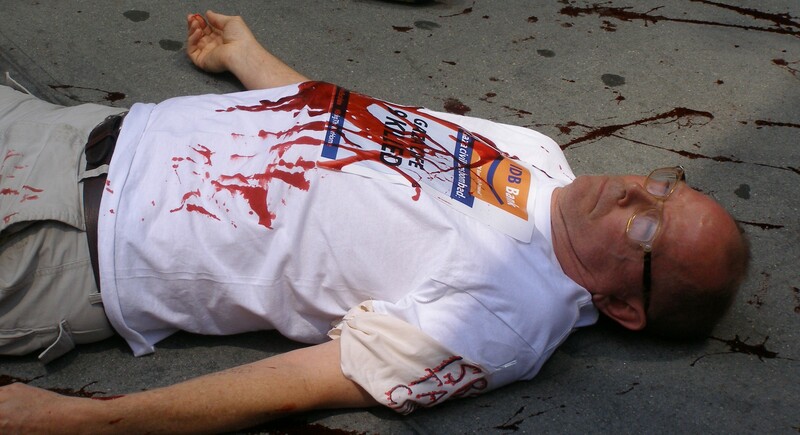 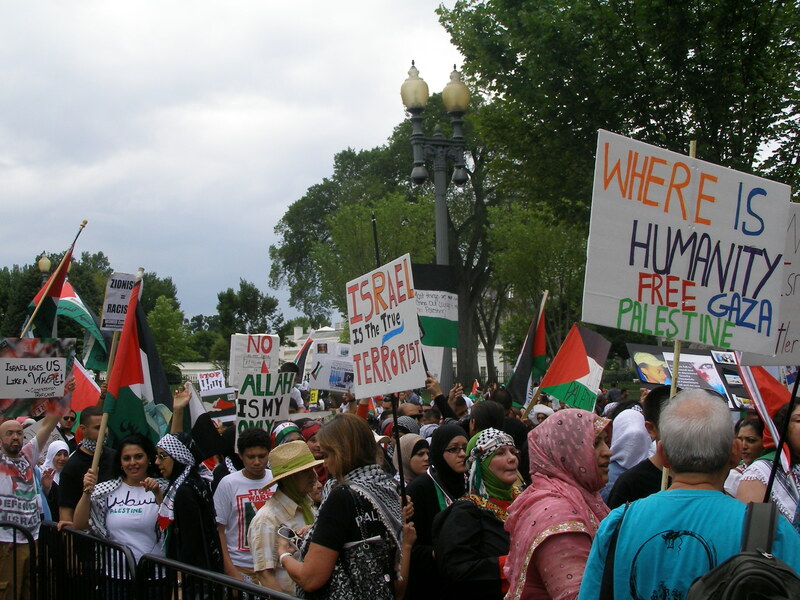 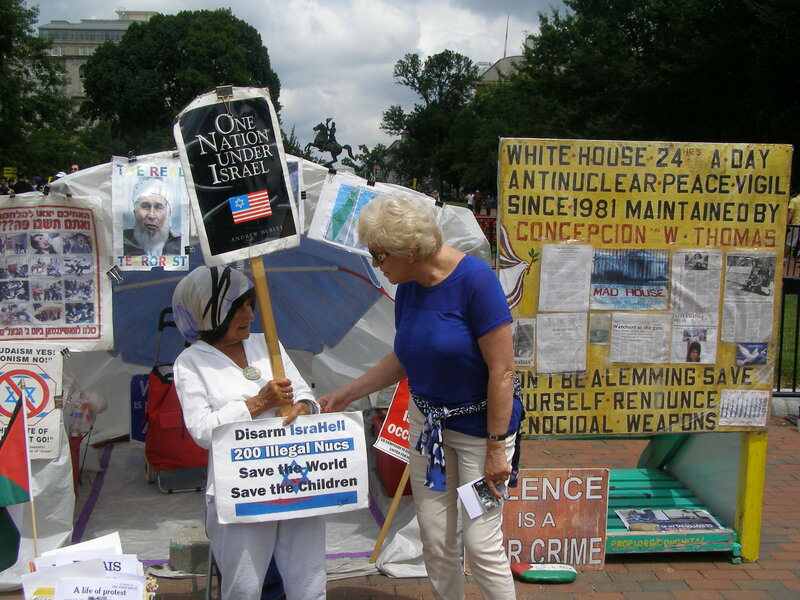 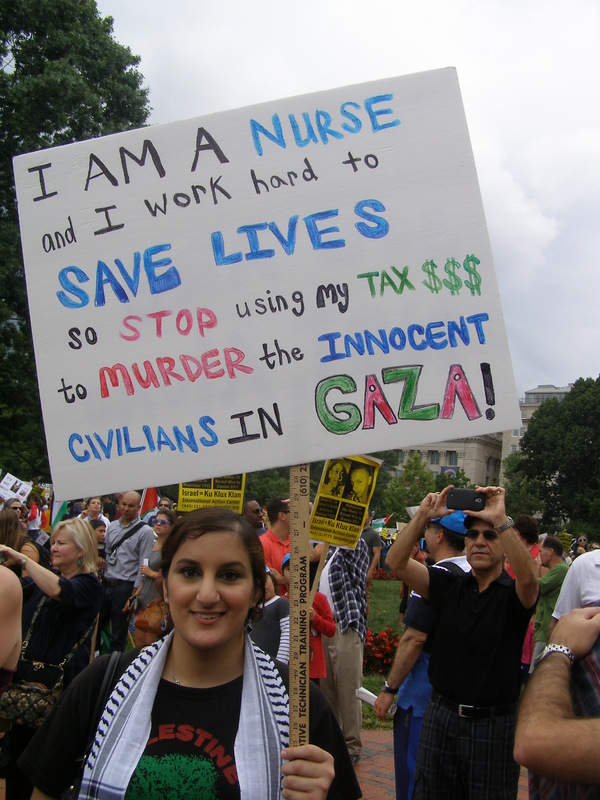 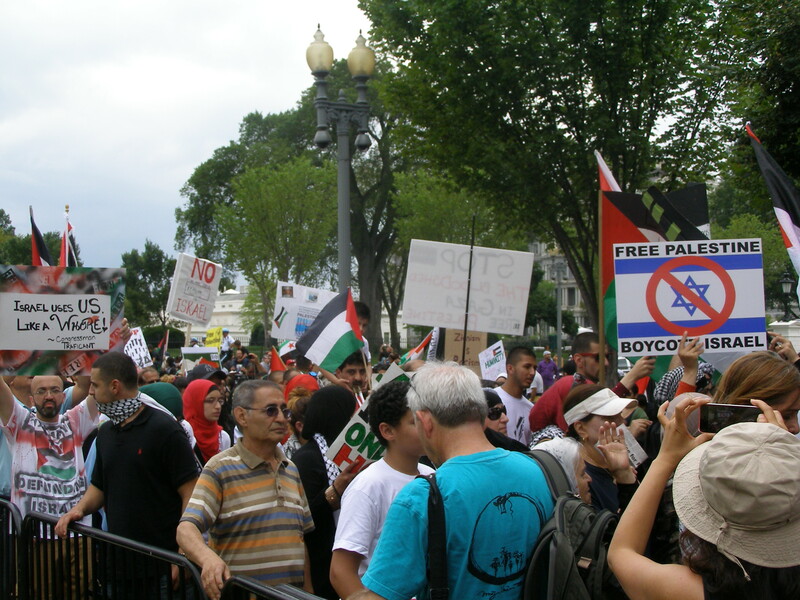 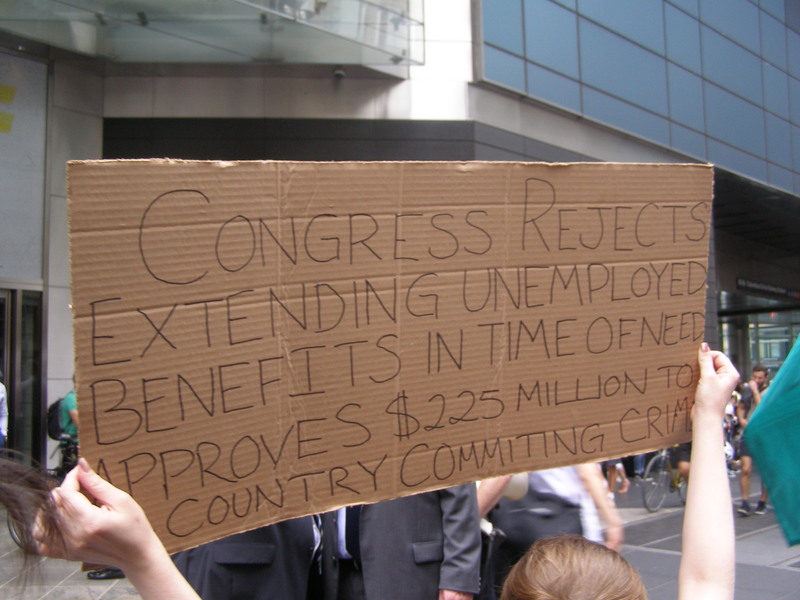 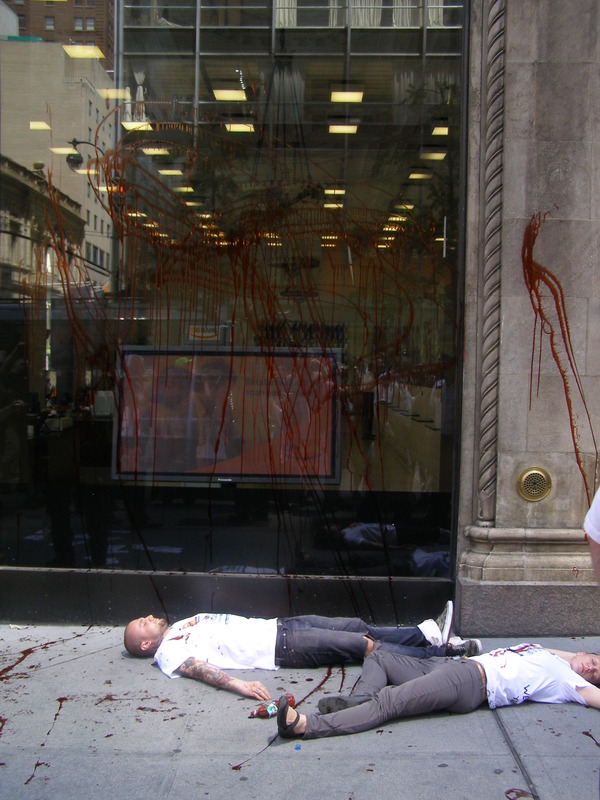 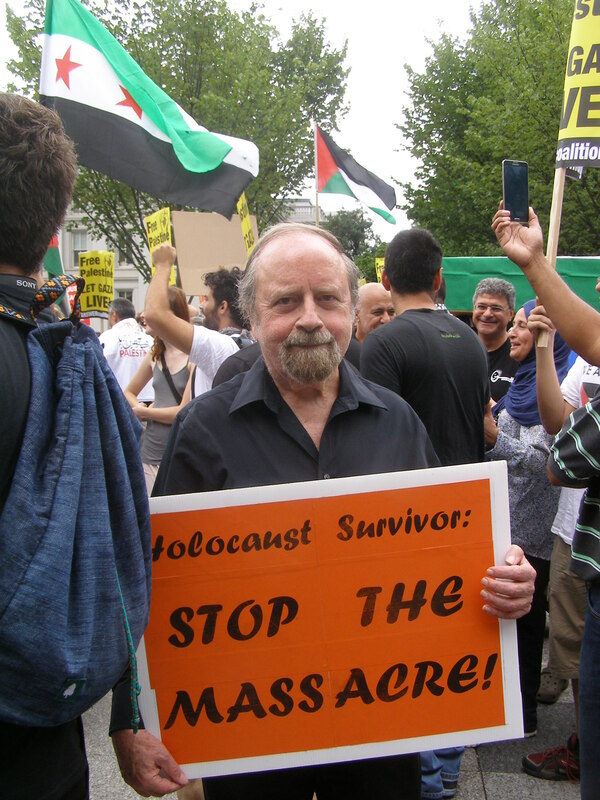 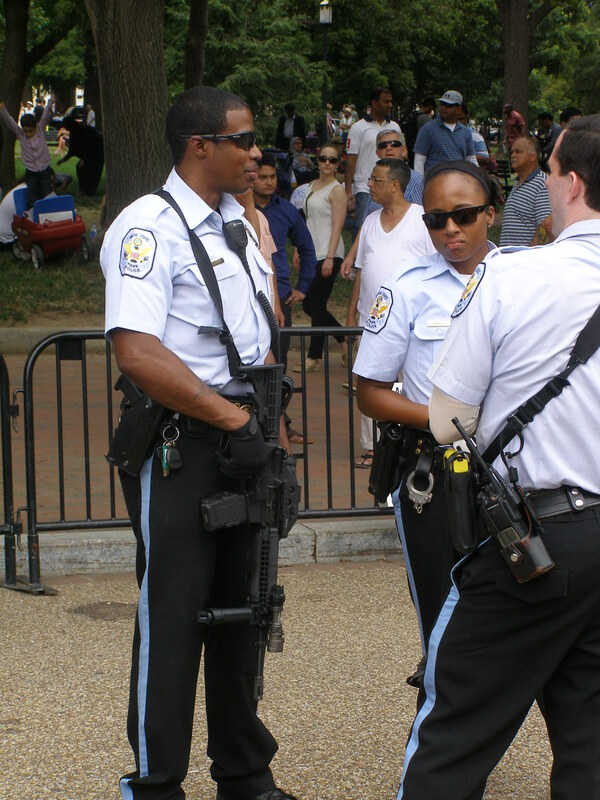 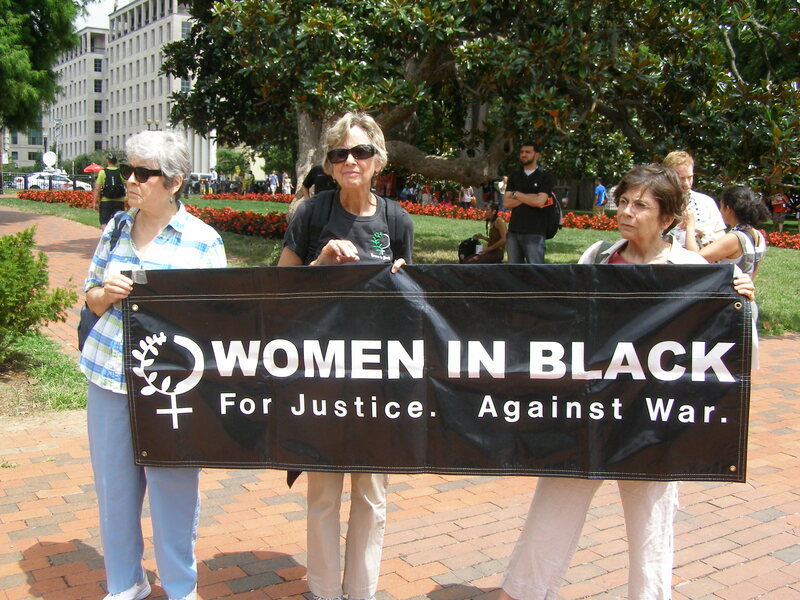 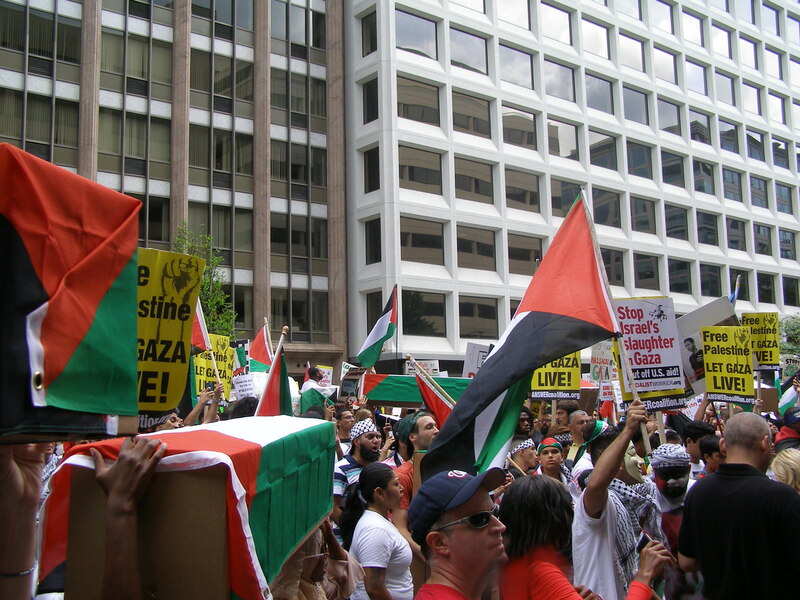 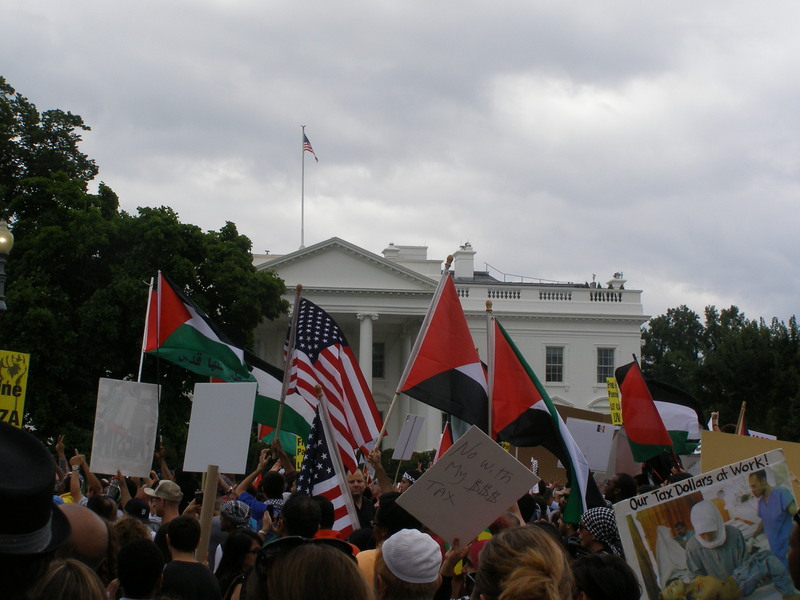 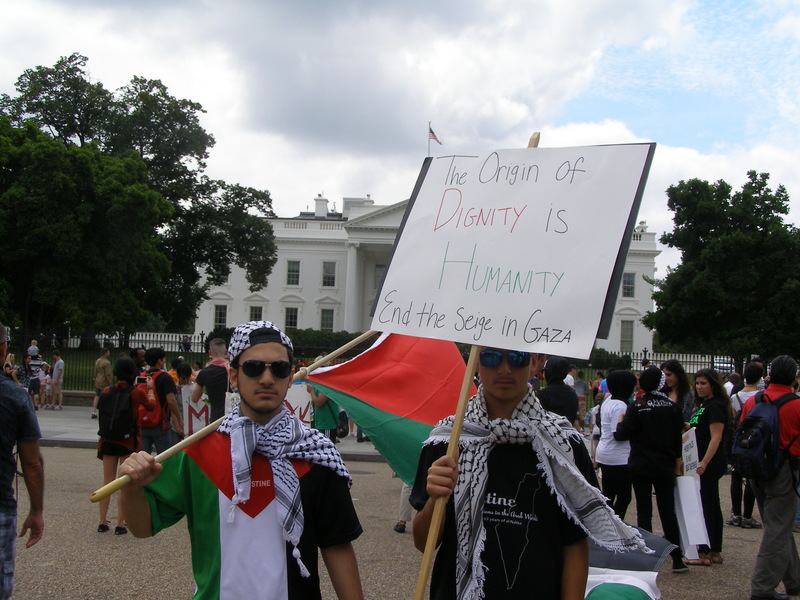 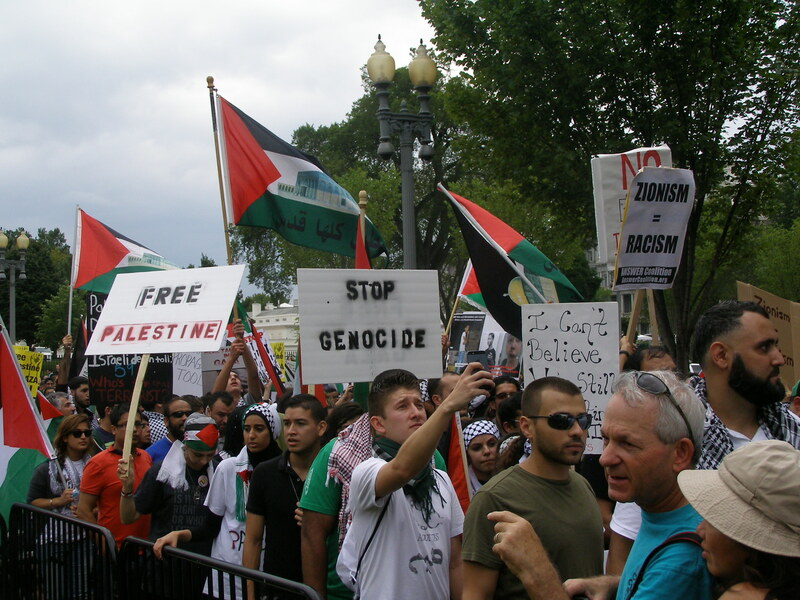 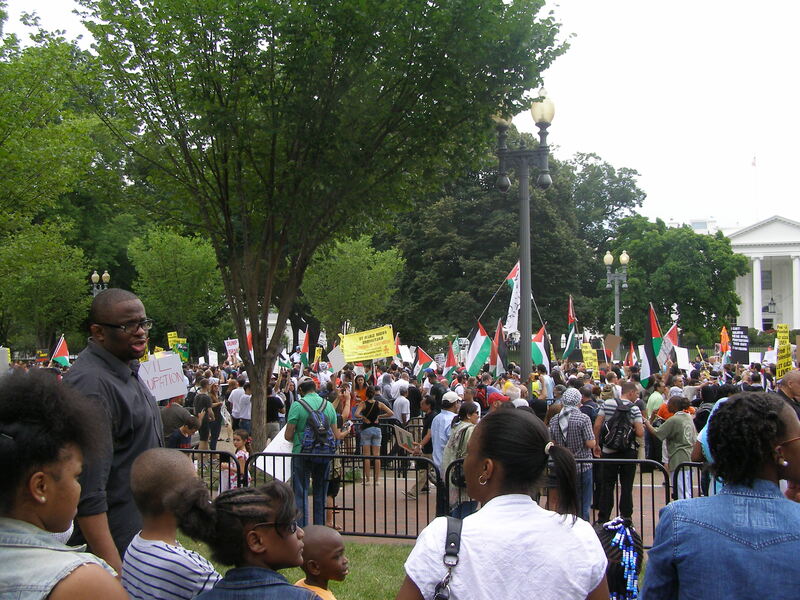 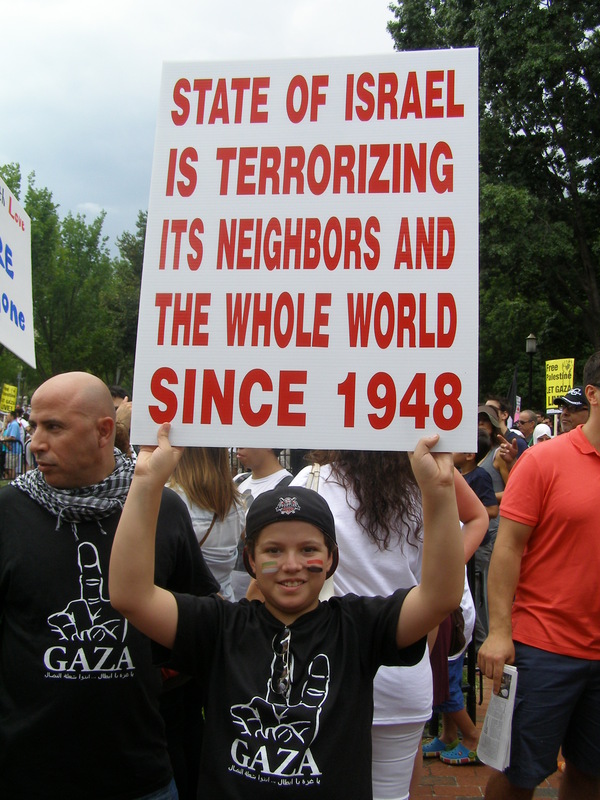 On Saturday, 2 August, some 25,000 people of conscience mobilized in D.C. in front of the White House in repudiation of the Obama administration’s morally depraved unconditional support for the Zionist regime, which in fact has been extended recently to providing Netanyahu’s murderous government with a mass-resupply of ammunition, even while Obama and Kerry claim to favor an immediate ceasefire and express concern for civilian casualties in Gaza. 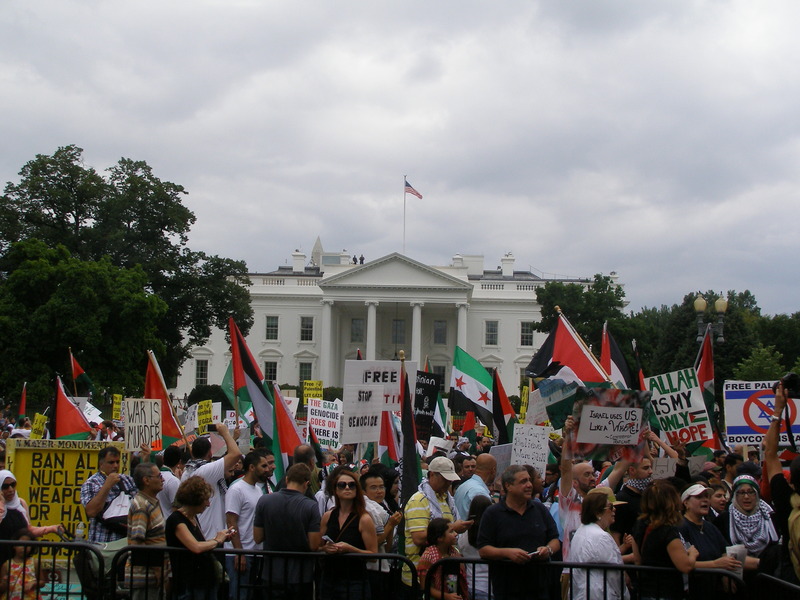 The D.C. action began across from the White House itself in Lafayette Park and then proceeded to occupy the streets surrounding it; in a parallel to the Friday New York mobilization, protestors made a stop at the Washington Post office to express their disgust with its Zionist sympathies. 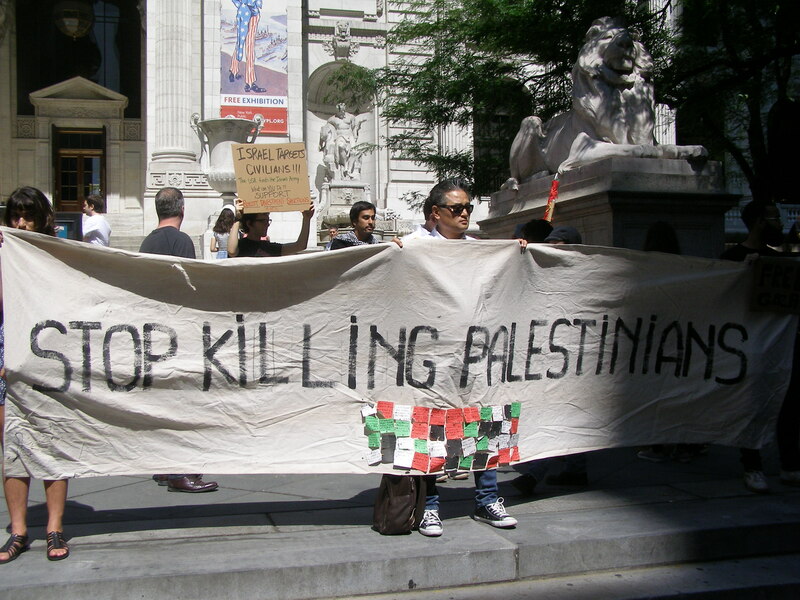 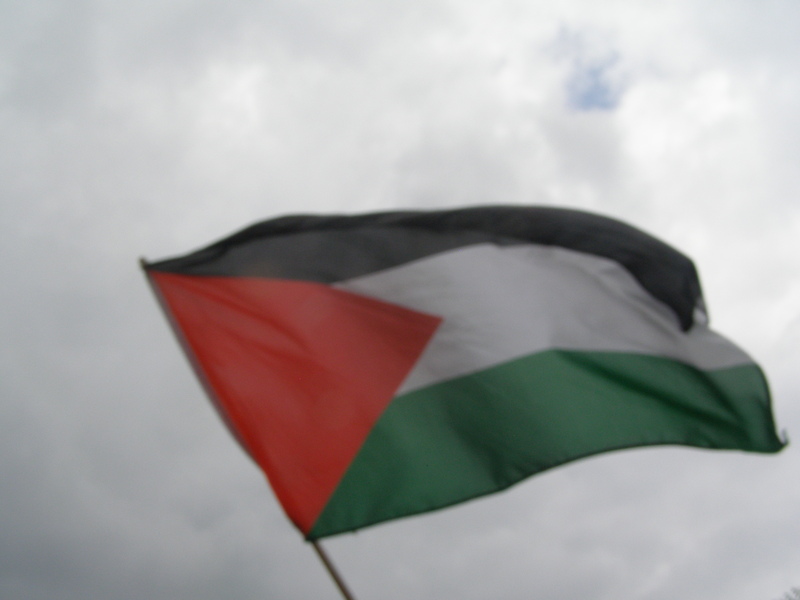 Over 1800 Palestinians have been killed by Israel since 7 July, and 9000 injured. 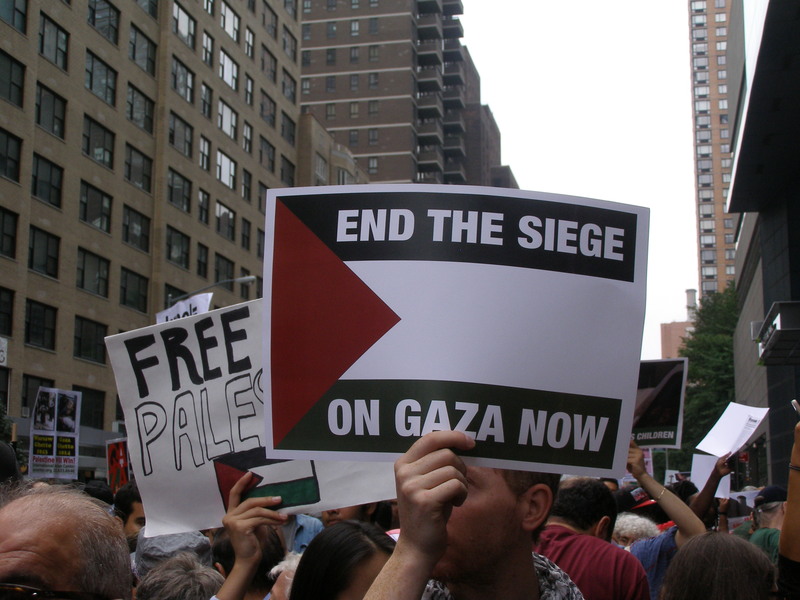 An estimated 500,000 have been forcibly displaced in the Gaza Strip.